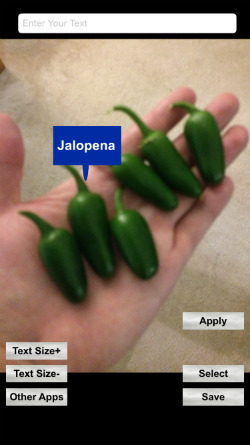 Add square text boxes containing your own captions on top of your photos. 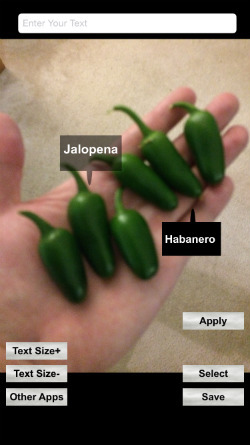 You can easily add customized labels over your photo that you can enlarge, shrink or fade the text boxes, and easily position them anywhere over your picture simply by tapping your screen. See screenshot below.